The world is changing. It is becoming increasingly multipolar with the emergence of China, India, Brazil, and with the resurgence of Russia – forming the so-called BRIC. The world is also becoming increasingly interdependent, not only economically as recently illustrated with the US financial crisis turning into a global economic crisis, but also regarding the threats and challenges our societies face, such as climate change. This multipolarity in the age of interdependence, or interpolarity as Giovanni Grevi names it, will most likely shape the 21st century. The American unipolar moment has ended. Yet, it seems too early nonetheless to evoke true multipolarity. Indeed, the US remains the dominant power, or the “lonely superpower”, and is likely to maintain its status for years and probably decades to come. America’s decline is not an illusion, but it must be understood in relative terms. US global influence is fading because it contrasts with the rise of the ‘rest’, i.e. the empowerment of other actors at the local, regional and global level. There is a great uncertainty as regards to who will emerge as a major power and when the US dominance will become definite history. In fact, it is very likely that only few a countries will emerge as central hubs of the system in the 21st century, creating a sort of asymmetrical multipolarity with a distinction between dominant or central powers, major powers, regional powers and local powers. Based on the analysis of several indicators, this paper refines the “BRIC dream” into a more realistic BR–I–C scenario in which China appears to be the real story and the only emerging power that can challenge the US in the coming years. India will follow the path of China but its emergence will be slower and in all less impressive. Brazil and Russia are probably the least emergent among the emerging powers, but this is not to say that they are not emerging. What place will be left for the EU in this coming interpolar order? According to most indicators, Europe has the appearance of a global power. However, there is a natural reluctance to join the words ‘Europe’ and ‘global power’ together. Indeed, the EU is not a power in the classical sense of the term for the very good reason that it is not a state in the classical sense of the term either. But if global power is defined as the capacity to have an influence at the global level, then the EU has certainly some global power, for it is a leading voice in many important affairs, such as the fight against climate change. To become a true global power or even a great power, i.e. a major pole in the coming order, the EU will need a more coherent approach and a more integrated strategy. This will require EU member states to increasingly speak with one voice in foreign policy. On a global scale, all European countries are now small states. They are less and less capable of defending their vital interests on their own against rising powers and are even less capable of achieving major ambitions. Nevertheless, when the capabilities of the 27 member states are joined together, the EU becomes a significant power. There is a strong case for the EU to act together in foreign policy: Divided we fail, united we prevail. The EU will also need to develop its relations with the emerging poles of the coming order through the use of strategic partnerships. A truly strategic use of the strategic partnerships, i.e. in function of EU foreign policy, must start from a thorough assessment of EU interests in the various regions of the globe and a clearer definition of its objectives towards them. 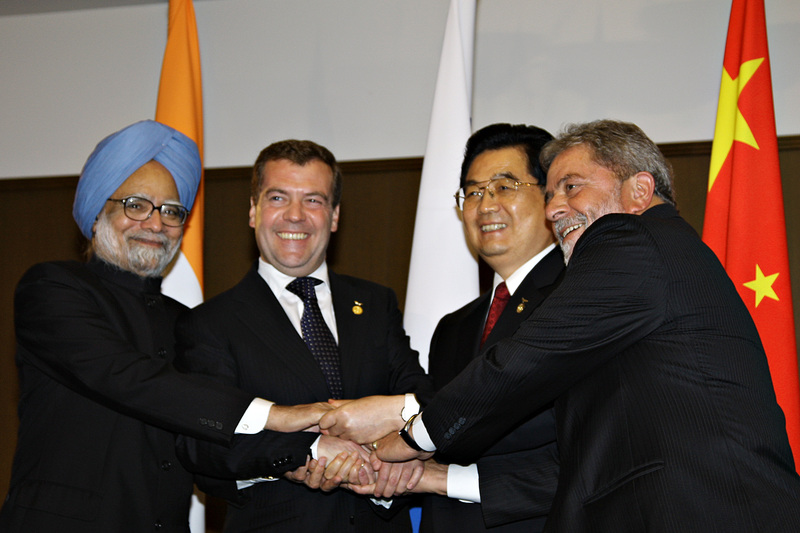 In practice, two types of partners may eventually emerge: those with which the EU establishes cooperation in a comprehensive range of areas – probably at least Russia, China and India, if they would be inclined to such cooperation that is, and of course the US; and those with whom cooperation focuses on a more limited range of issues or regions. In order to promote European unity, strategic partnerships should establish the EU as the unique interlocutor on a series of key issues, hence limiting the margin of manoeuvre of individual Member States. For the EU to remain relevant in the 21st century, it will need to promote effective multilateralism at the global and EU levels, to seal real strategic partnerships, and to develop its leadership capacity in order a) to influence the global agenda, and b) to take the lead in issues of particular importance to the EU. Leadership and effective multilateralism are complementary and mutually reinforcing. They are Europe’s best option to enter interpolarity as a global power. The EU will not rule the 21st century, but it can still become a major pole, and it must certainly avoid to be ruled out. Thomas Renard Research Fellow – Security & Global Governance Programme. Egmont Paper 31, Oct. 2009.